This cement installation at Shekou Terminal has one of the biggest over hand design ever built at 30m, which meets the requirements to keep the quay free 40m from quayside. 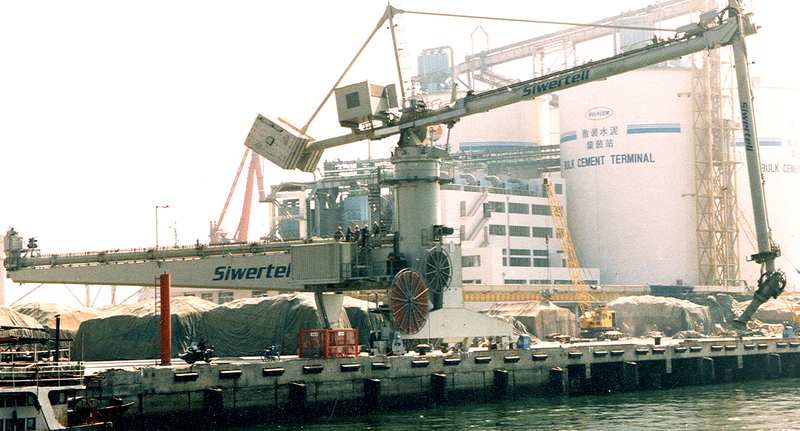 This Siwertell ship unloader is provided with a reach extender, which is an extra knuckle on the vertical conveyor for optimum reach in the ship’s cargo hold. 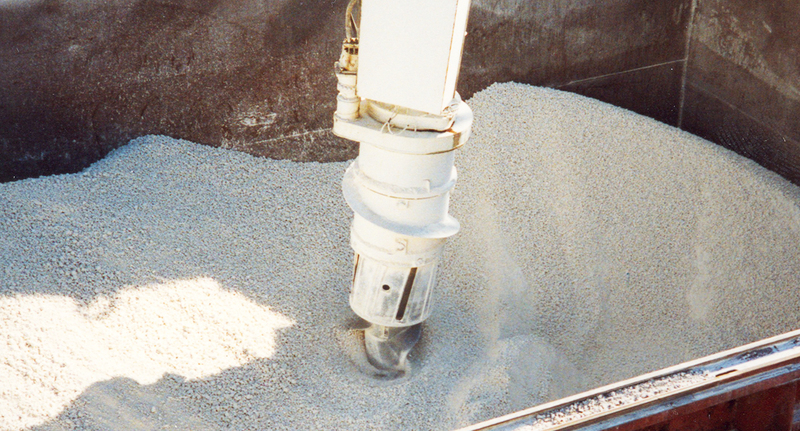 The shore handling system is based on horizontal and vertical screw conveyors. The horizontal shore conveyor has a total length of more than 100m incorporating fixed loading points at every 10m. Four vertical screw conveyors are parallel mounted two and two and can be used together or one at a time, depending on the unloading rate. The total lifting height is 50m.